Sofie Andersson (-6): The sixth-year Symetra Tour member is looking for her second-career win on Tour and first since her rookie season back in 2007 at the Aurora Health Championship. 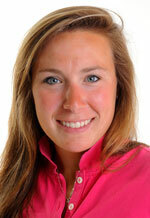 Andersson hails from Angelholm, Sweden and played her collegiate golf at the University of California- Berkeley. She recorded 16 top-10 finishes including one win with the Golden Bears and was a three-time NGCA All-American Honorable Mention selection (2004, 2005, 2006). Andersson opened the 2012 Symetra Tour season with a tie for 33rd at the Florida’s Natural Charity Classic and a tie for 45th at the Sara Bay Classic. Esther Choe (-6): Choe is coming off of her first-career victory on the Symetra Tour at the Sara Bay Classic last week. The Scottsdale, Ariz. native started her professional career right after high school in 2007 after an impressive campaign on the junior golf circuit. She was a member of the 2006 U.S. Junior Ryder Cup Team and was named the 2006 AJGA Rolex Girls’ Player of the Year. The two-time U.S. Junior Solheim Cup Team member (2005, 2007) previously recorded two tied for second finishes on the Symetra Tour (2007, 2010). Calle Nielson (-4): Nielson is in her rookie season on the Symetra Tour and turned professional after her collegiate career at the University of Virginia. The Nashville, Tenn. native was named Tennessee Women’s Amateur Player of the Year four-consecutive years (2008-2011) and was a three-time NGCA All-American Honorable Mention selection while playing for the Cavaliers. Nielson started out the 2012 season with a tie for 66th at the Florida’s Natural Charity Classic and a tie for 61st at the Sara Bay Classic.